This list features some of the best movie posters of 2009. In many cases, the posters are even more entertaining and skillfully crafted than the films they advertise. But whatever the quality of the big-screen versions, rest assured that these posters will get across the theme or attitude of the motion picture and still manage to provide some much-needed eye candy. For great movie posters of other years, be sure to check back with Only Good Movies often. You may also be interested to know that Netflix has all the films listed below. You’ll need to become a member to choose from their over 100,000 movies, but clicking on this link will get you started. And did I mention that there are never any late fees with Netflix? With Blockbuster on the ropes and traditional brick-and-mortar video stores about to go the way of the dodo, there’s never been a better time to jump aboard the Netflix bandwagon. 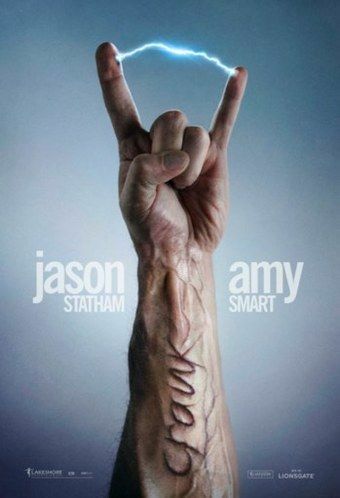 Crank 2 – While some might mistake this poster for a heavy metal concert advertisement, it certainly embodies the pop culture-obsessed attitude of the Jason Statham action sequel. Here’s an interesting bit of trivia: Metal fans may remember the late Ronnie James Dio using the “devils horns” sign in concerts and videos. He got the idea from his grandmother, as the gesture is still used by some in Italy to ward off the evil eye. 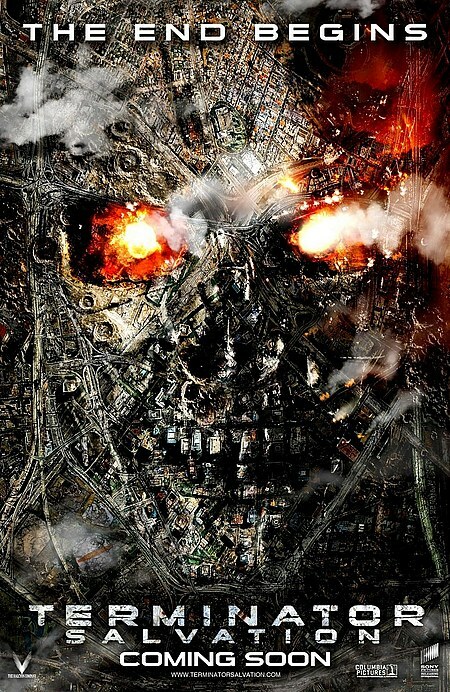 Terminator Salvation – The bombed-out remains of an American city manage to form the recognizable visage of the killer robots from the future. An example of a movie poster that far exceeds the actual work it promotes. 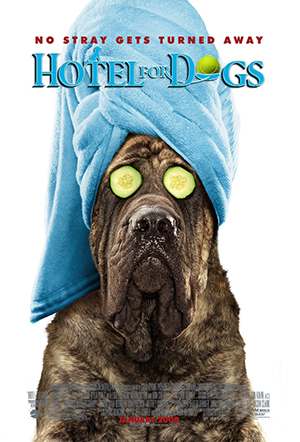 Hotel for Dogs – I wouldn’t be caught dead seeing the movie, but the poster does manage to elicit a chuckle and, at the same time, give you a solid understanding of what the film is all about. What else can you ask for from a movie poster? Besides, I can’t think of another promotional item that’s ever featured a dog with cucumbers over his eyes (even if they were added later). 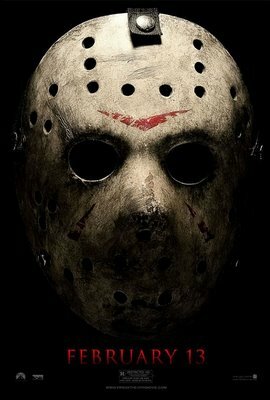 Friday the 13th – The hockey mask of Jason Voorhees is one of the most iconic items in horror film history, and this 2009 relaunch gives us a look at the well-worn prop in all its glory. What a shame that the film isn’t half as terrifying as the movie poster (thanks for nothing, Platinum Dunes). Inglourious Basterds – A number of the best movie posters of 2009 get their point across without a whole bunch of words or cluttered graphics. This is a perfect example. 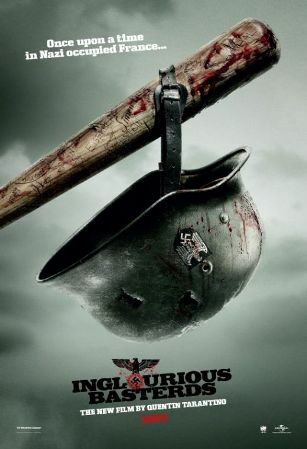 The poster for Quentin Tarantino’s revisionist WWII film simpy displays a bloody baseball bat and a worse-for-wear Nazi helmet. Think of it as a more graphic version of the end-credit picture from Hogan’s Heroes. 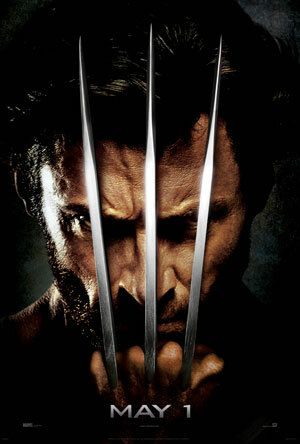 X-Men Origins: Wolverine – Hugh Jackman’s handsome mug is prominently displayed, and those trademark indestructible claws threaten to rearrange our grills. It tells you all you need to know: Wolverine is back, and he’s predictably pissed. 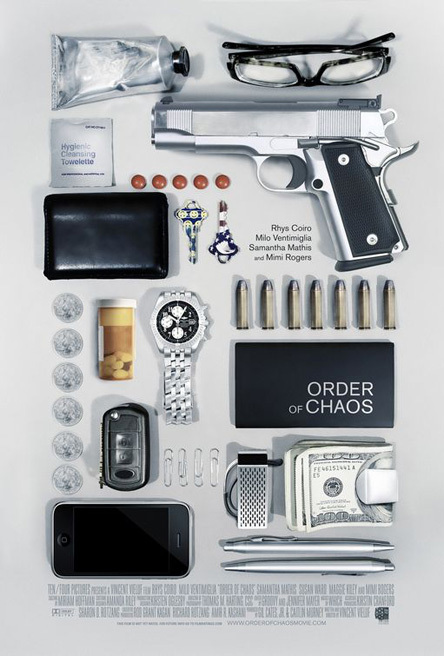 Order of Chaos – While this film isn’t about a globe-trotting hitman, you wouldn’t know it from looking at the movie poster. Everything you would need for contract killing is laid out obsessively, including meds, a .45, and those oh-so-handy towelettes. 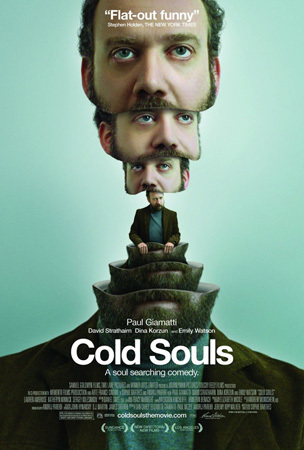 Cold Souls – Paul Giamatti plays a fictional version of himself in this inventive comedy about a process that allows individuals to remove their souls and have them stored (thus removing many of their worldy concerns). Since a large part of the film involves Russian characters, Russian plays, and Russian settings, it’s only appropriate that Giamatti’s head has been transformed into something resembling a matryoshka doll. 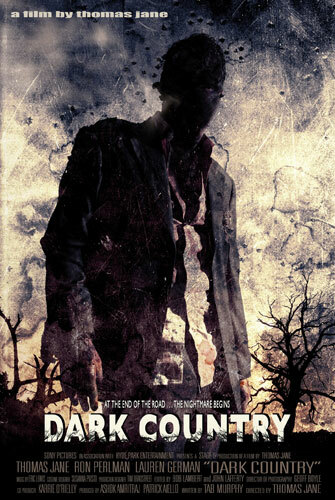 Dark Country – Thomas Jane makes his directorial debut in this noir thriller, but the creepy poster would be just as much at home advertising a zombie flick or a tense WWI flick set in No Man’s Land. Just a glance tells you one thing, though: somebody’s gonna die before the credits roll. The Unborn – Why does this supernatural horror flick make my list of the best movie posters of 2009? Is it because of the creepy little kid in the mirror? Nope. Is it because the film has Gary Oldman playing a rabbi? Not even close. No, this poster’s main selling point is the airbrushed goodness that is Odette Yustman’s derriere. That concludes our look at some of the best movie posters of 2009. You can find all these films and many more from Netflix, and clicking this link will allow you to become a member. Once you do, you’ll enjoy pre-paid postage, a wide selection of motion pictures, and absolutely no late fees. We do get a commission if you sign up, but it all goes right back into the site. This entry was posted on Monday, August 23rd, 2010 at 11:05 pm and is filed under Badass Movie Posters. You can follow any responses to this entry through the RSS 2.0 feed. You can leave a response, or trackback from your own site.